William Edward Burghardt Du Bois was a noted scholar, editor, and African American activist. Du Bois was a founding member of the National Association for the Advancement of Colored People (NAACP -- the largest and oldest civil rights organization in America). Throughout his life Du Bois fought discrimination and racism. He made significant contributions to debates about race, politics, and history in the United States in the first half of the 20th century, primarily through his writing and impassioned speaking on race relations. 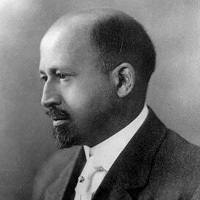 Du Bois also served as editor of The Crisis magazine and published several scholarly works on race and African American history. By the time he died, in 1963, he had written 17 books, edited four journals and played a key role in reshaping black-white relations in America.